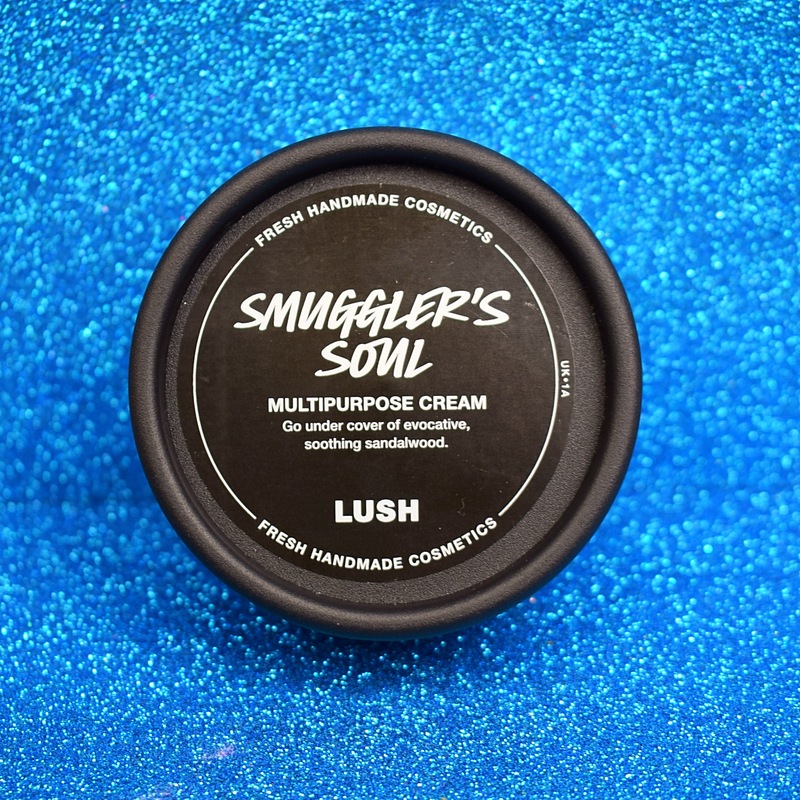 Last year when I was trying out the Lush Father’s Day products the Smugglers soul multipurpose cream was one of the products that I didn’t pick up. When I saw that it would be making its appearance again this year I decided that I would defiantly try it out this time round. My first impressions of this cream is that it is rather expensive when compared to other creams that Lush do. The 50g pot is £14.95 where the average Lush body lotion is £6.95 for 100g. However the smugglers soul cream is not just a body lotion, it is a multipurpose product that can be use in all manners of ways including in you hair and as a facial moisturiser. So with this in mind if you compare it to a facial moisturiser the price is much better and pretty much the same as the other facial moisturiser products. I am a huge fan of the smugglers soul scent, I first tried this scent last year when I fell in love with the smugglers soul facial scrub. So I was really looking forward to trying this scent in another product form. The smugglers soul multipurpose cream is a deep warm smoky scent. The scent however is not at all overpowering and instead very gentle and subtle. One ingredient that I really love in this product is the inclusion of fresh cucumber. This helps to cool the skin making it great to use after shaving or even after catching a few to many rays of sun. Overall I have really enjoyed using this product. It’s great to have a product that can be used in so many ways although I would be more inclined to use it as a facial moisturiser, rather than an everyday body lotion. Have you tried the smuggles soul multipurpose cream? What you favourite way to use it?